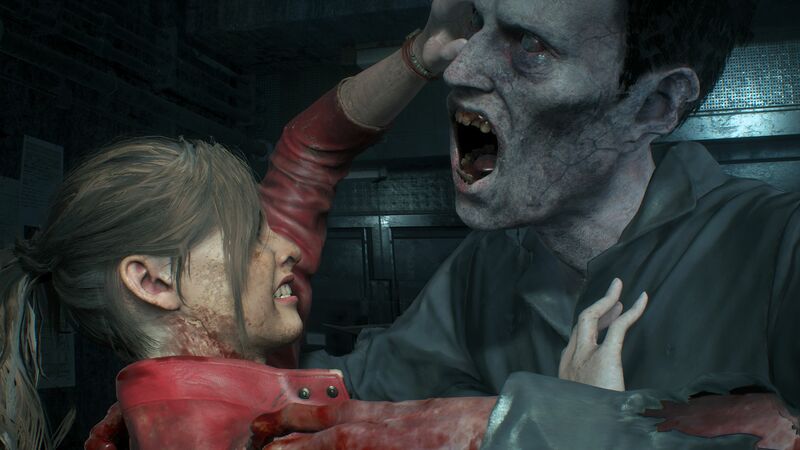 Capcom’s Resident Evil 2 remake will not take up too much space on hard drives. In fact, according to a posting on the game’s Microsoft Store page, the file size weighs approximately 21.07GB. In an age where the size of game files, without a day one patch, are creeping up to 100GB, this seems rather small. It should be noted that the 21.07GB only applies to the Xbox One. However, the PlayStation 4 version is bound to weigh about as much. For comparison’s sake, the file size for Resident Evil 7 on PS4 was 20.7GB. Meanwhile, the Xbox One version required 20.21GB of space. Resident Evil 2’s relatively small file size isn’t the only thing worthy of cheer. Based on gameplay footage and several teasers, the remake itself seems as though it will warrant much praise, especially since this project isn’t just a remake. The development team at Capcom has expanded upon the story present in Resident Evil 2’s original release. This expansion will give players the opportunity to explore the game’s world more fully and interact with characters once considered ancillary. Furthermore, tank controls have been abandoned, in an effort to modernize the game’s control scheme. Fans will soon get to experience the frights of the beloved sequel once more. Resident Evil 2’s remake will hit store shelves on January 25, 2019.